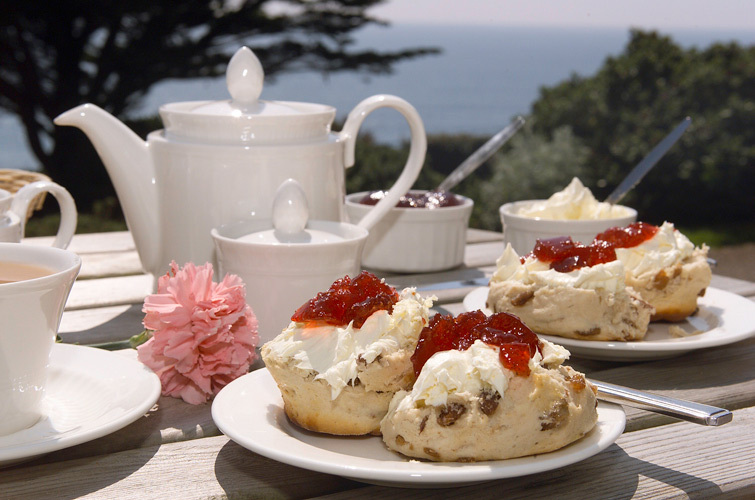 Today at Fancy Pans Café there is a Devonshire theme and the most iconic Devonshire treat is the cream tea. Master Baker Paul Hollywood will show you in four minutes how to make perfect, and utterly delicious scones. You will, of course need some clotted cream and strawberry jam (or any jam really, whatever is your favourite) to complete the ultimate indulgence. The question is: Jam first or cream first? Unlike the picture above, I am a jam first scone-eater, which are you? The Devonshire theme continues with a short piece of fiction that I wrote earlier this year. I visited the Devonshire Cemetery on The Somme and ‘adopted’ a soldier called Marshal Williams where I placed a cross on his grave. The short story is a piece of creative-non-fiction. By that I mean that the historical facts are true, as are the names, but the story is fictional. (Although I would love to chat with him in the tranquillity of the cemetery, if he ever decides to meet me there.) Please follow the links to see more about The Devonshires. “The Devonshires Held this Trench, The Devonshires Hold it Still.” A feeling of utter sadness swept through her and she closed her eyes and took a deep breath. When she opened them her gaze fell on the cluster of small wooden crosses which had been placed in front of the stone. She could smell smoke. The aroma transported her back to when she was a young girl, recognising the same strong tobacco her Granddad had used. She turned towards the gate and was surprised to see a young man standing there. He threw his cigarette to the ground and smiled at her. Somme Historical Centre Searching for a relative? Congratulations on your creative and interesting blog! Thanks Caroline - you must visit if you can, you will see why it is so atmospheric. I shall be writing about Lochnegar in the not too distant future. If you complete the 'follow by e-mail' box below you will get notifications of when a new blog is published.